Relax on the sideline in style with a FiveStyle Parachute Hammock, a portable and lightweight hammock that you can easily set up between trees, an unused soccer goal, or any sturdy poles. It’s great for camping tournaments (obviously). And at just $22.00 right now on Amazon, you’re getting an incredible deal. That’s one of the lowest prices ever offered on this hammock. The hammock comes with carabiners and rope, as well as a convenient carry bag. It supports up to 400 pounds and has 4.3 out of 5 stars on over 100 reviews on Amazon. Orders of $49+ get free shipping on Amazon. You can get free two-day shipping on all orders (and tons of other benefits!) as an Amazon Prime member. If you are not a member, you can easily sign up for a free 30-day trial. A Prime trial is also free with Amazon Family or Amazon Student (6 month trial!). For more deals, check out our Deals page and follow us on Twitter at @UltiworldDeals. 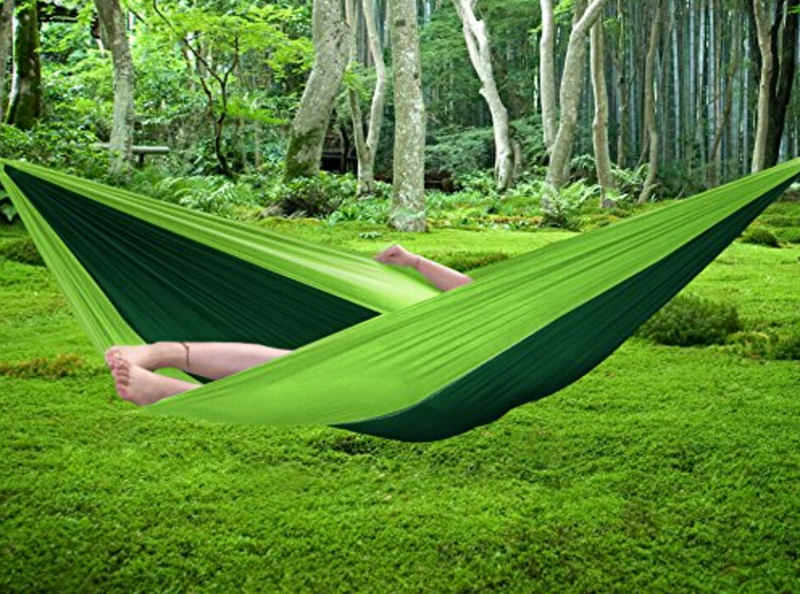 Comments on "Deal Of The Day: Portable Hammock"